Yesterday, we reported on a newly discovered Easter egg in Tom Clancy's The Division 2 that seemingly teased that the next Assassin's Creed will bring players to the land of the Vikings. For those that missed it: there's a poster in Ubisoft's new looter-shooter that features a Norse god holding the Apple of Eden from the Assassin's Creed series. Of course, it wasn't obvious if was simply a teasing Easter egg or an actual tease. Further, it wasn't clear if it was indeed an Assassin's Creed tease, whether it was for the next installment in the series or an installment down the road. That said, today Kotaku followed up with its own report confirming that the next installment in the popular Ubisoft series will indeed by Viking-themed. Codenamed "Kingdom," the project is coming in 2020. While we've known the latter for awhile -- Ubisoft confirmed that a new Assassin's Creed won't be coming this year -- we had no clue about the former. In fact, a previous leak suggested the game was heading back to Italy. So, to hear the next game is actually heading north to the home of the Vikings is pretty surprising. Of course, like any report, this should be taken with a grain of salt. However, not only has Kotaku built a name for reliable reporting, but it's known for its Assassin Creed scoops and leaks. Apparently, the outlet has known about the Vikings-theme for awhile -- gathering the information from two independent sources -- but that's about all it knows. In other words, there's no gameplay or story details to share. 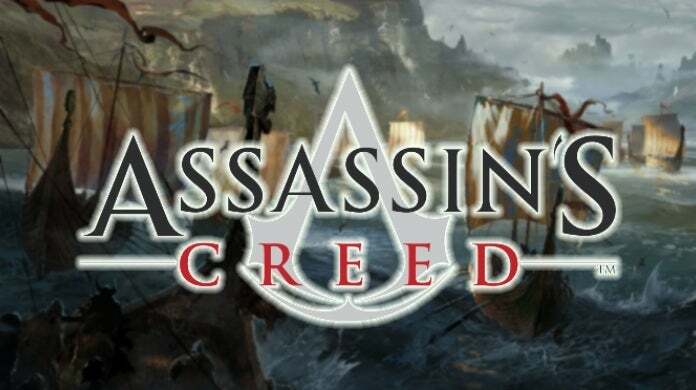 Personally, the idea the Assassin's Creed series is heading somewhere new excites me, but I wish it was somewhere where games haven't already explored to death. Don't get me wrong, Vikings are cool, and always will be, but I much rather see the series head to Feudal Japan. Anyway, as always, feel free to leave a comment letting us know what you think. What do you hope to see from Assassin's Creed in 2020? Do you think Ubisoft will reboot the series?